First off, I love all of you for visiting my blog regularly!! Thank you!! I am so ready for the summer, how about you? There is something about letting my children run free at the beach for a few hours that changes everything. I get some much needed down time and they burn energy! June is finally here and I'm hoping for all great things over the summer, including fabulous weather, good health, time with great friends and family and flawless projects! Cheers, happy weekend!! Here's the skinny on this weeks faves. 1. Lemonade, especially freshly squeezed lemons - sing of the sweet summer. My daughter Emerson set up a stand last weekend and made $12.50! I was so proud of my lil entrepreneur. 2. 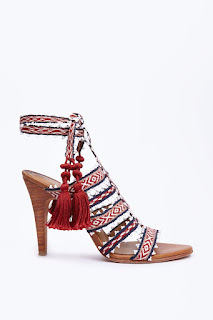 I love Ulla Johnson's relaxed styles with a Bohemian twist. How can I not love a dress named "Jules". (my nickname since highschool). It is available in white or navy. The heel paired with the dress is adorable too!! 3. I love to cook and as I have gotten older, I tend to cook cleaner. This little gem wedge salad looks so fresh and yummy. 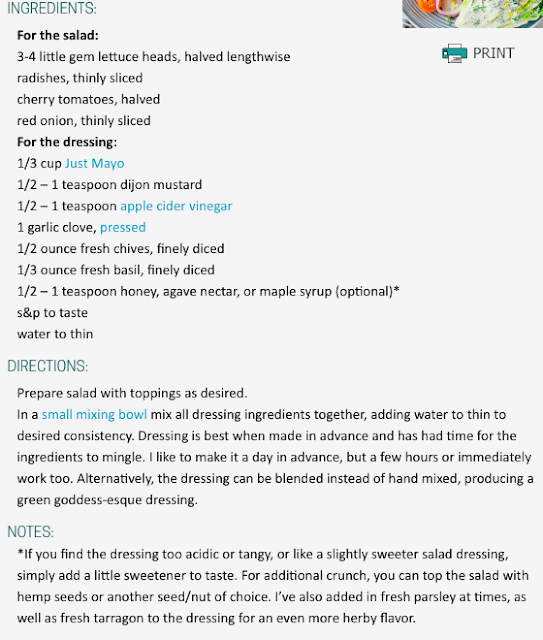 I also always make my own dressing. I am going to give this simple recipe a shot next week! (recipe below)..I planted my herb garden the other day. I am excited to show the after photos in a few weeks when the plants are larger. Recipe and image via. 4. 110%!! Because let's face it, we all deal with sucky moments. 5. I think I've mentioned I don't wear very high heels much anymore. I'm either running around for my business or running after children. These are the perfect everyday in between shoe height and they are on sale at Nordstrom for a great price!! 6. I am long over due for a trip to Nantucket. I'll be heading there this summer for sure!! The best way to make salad dressing is in a jar or well-sealed tupperware container. You just shake it and it emulsifies nicely. No work!